Ideal where Lead-Free valves are required. 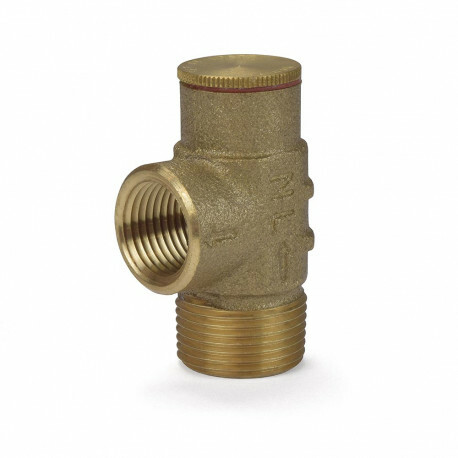 Designed for installation on cold water service lines as a means of protection against excessive pressure buildup. These devices are for pressure only and should be used in conjunction with other temperature limiting devices. Also suitable for static relief, low capacity pump relief, passive solar, thermal expansion relief and other similar uses in commercial and industrial applications. Hydrostatic Test Pressure: 175 PSI.